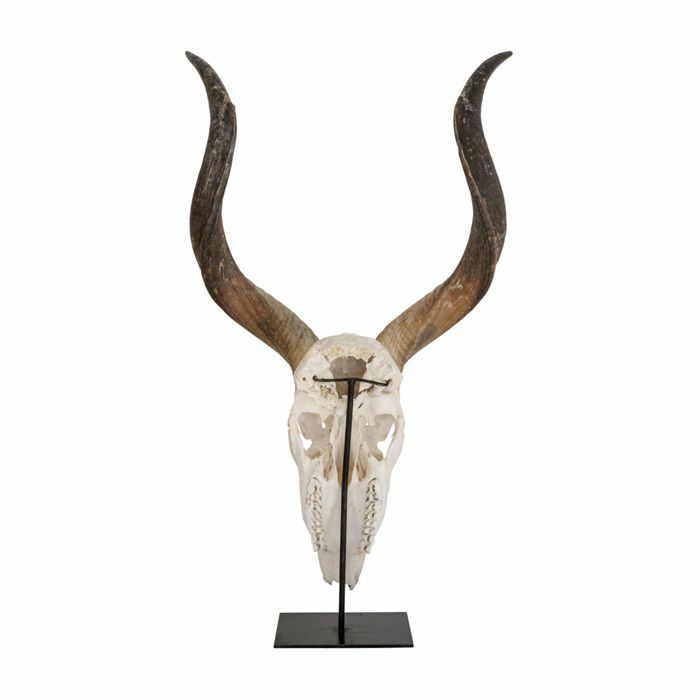 This kudu skull on a stand features medium sized horns. 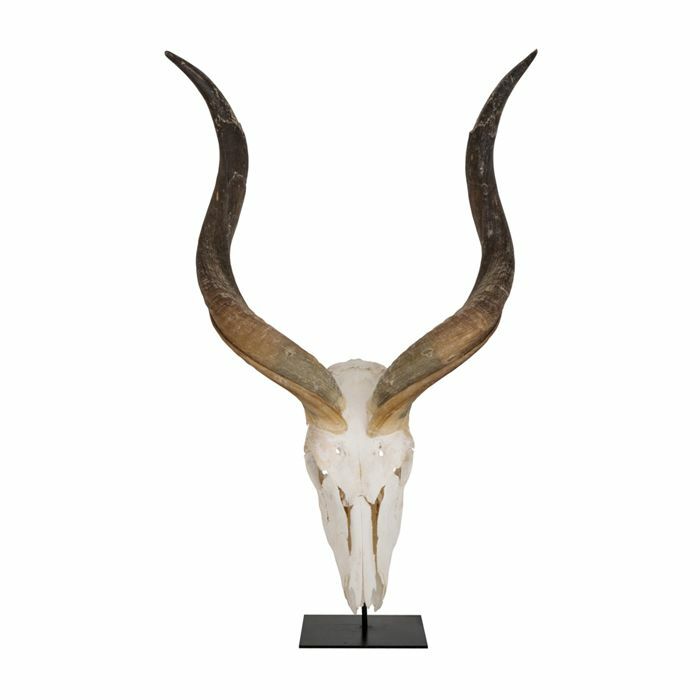 This natural gemsbok skull is mounted on a stand. 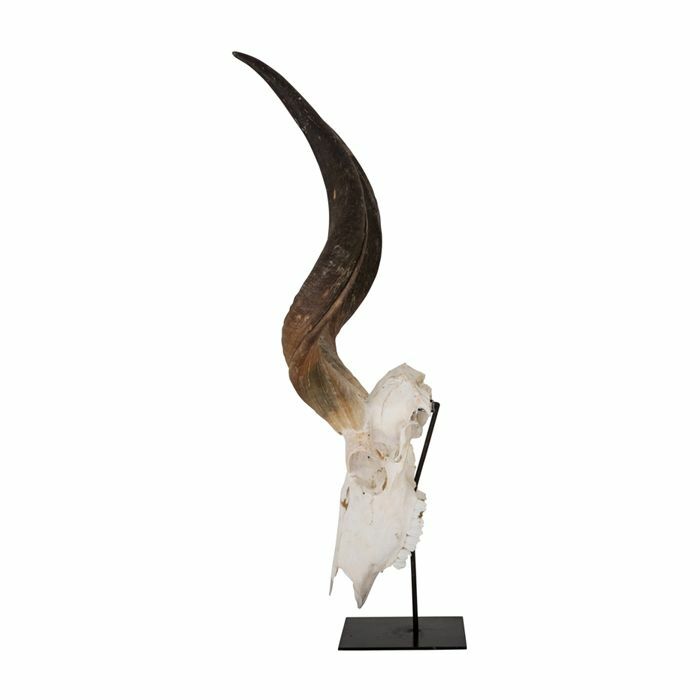 A fun artwork mounted on a stand.